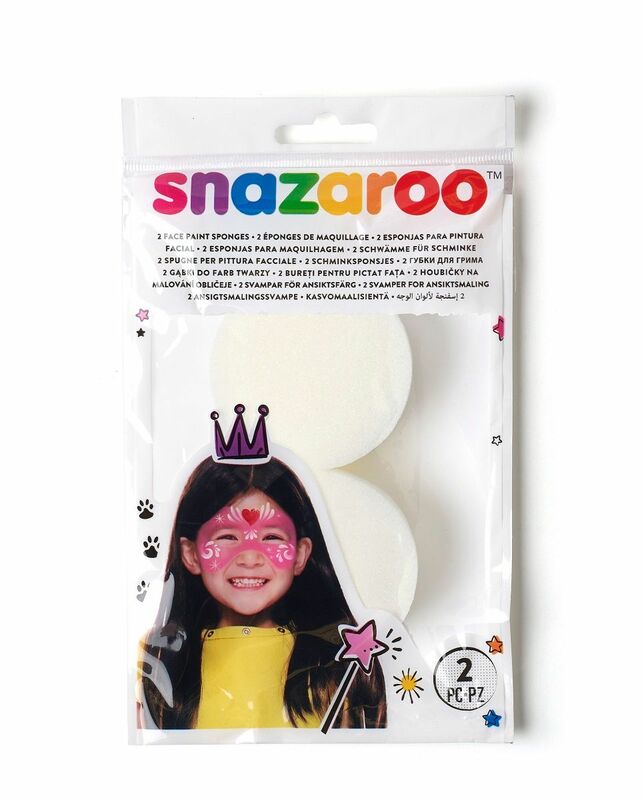 Made from the highest quality ingredients, Snazaroo face and body paints allow you to look great and are safe and easy to use. 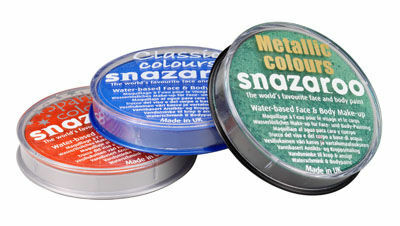 The Snazaroo range includes individual paints, glitters, special effects kits and accessories. All of Snazaroo paints are non-toxic, hypoallergenic and available in a choice of vivid, high pigment colours. Includes the tools and extras that you need for perfect face and body painting, including brushes, sponges, stencils and body crayons. Also includes “how-to” books and instructional dvd’s. 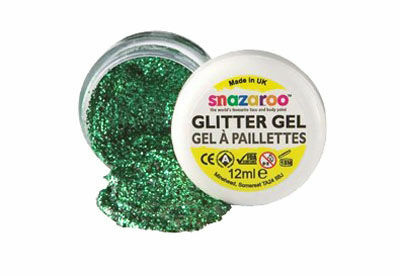 Add fabulous sparkle to your face and body painting with a range of 12ml Snazaroo glitter gels, dusts and iridescent powders in an array of vibrant colours. Face painting kits provide colour combinations for the themes, faces and occasions that you want to create. Whether you want animal faces, Halloween special effects or girly, sparkly faces – you’ll find the perfect kit for every occasion. Snazaroo offer a wide range of high quality vibrant colours that are as easy to get off as they are to put on. 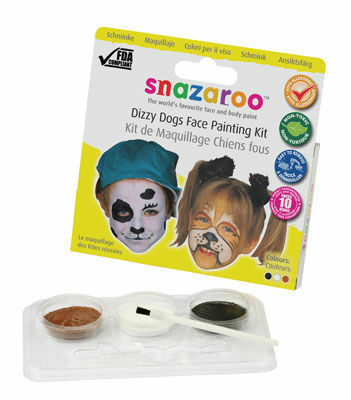 All Snazaroo face paints are non-toxic and hypoallergenic. Re-create your favourite heroes, villains and monsters with Snazaroo Special FX. 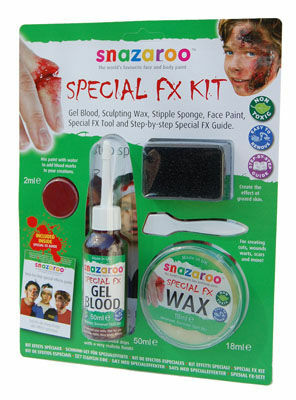 Choose from individual items or ready-made special effects kits from Snazaroo Special FX.